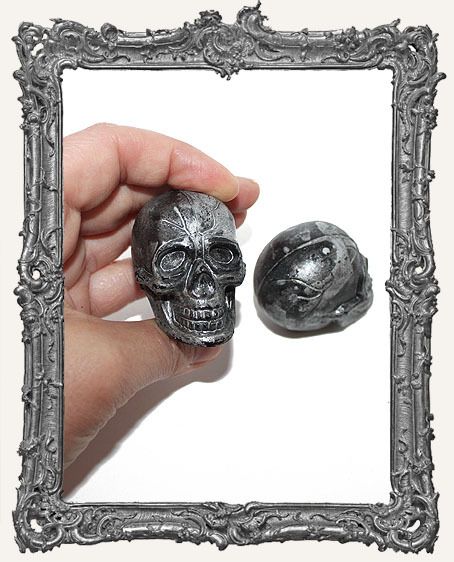 * You will get one really cool large plastic skull. They are very light weight, hollow, and do not have holes. They would make a great addition to a large shrine or shadow box. They would also make fabulous shrine or bottle toppers! Each has great texture. Keep in mind you could paint/alter them if desired. Some rhinestones added to the eyes would look awesome. * Each measures approximately 1-1/2" tall x 2" long. * Also available in Bone.